The property is a well presented and spacious three bedroom semi-detached house located within this highly sought after development. The accommodation includes an entrance hall, a downstairs cloakroom, separate lounge and well fitted kitchen/diner with integrated oven, hob and extractor. The first floor has a roomy landing, three good sized bedrooms and the family bathroom. Externally there is a 31' x 28' southerly facing rear garden laid to lawn with a paved patio and well stocked borders. An adjoining carport and driveway provides off road parking for two cars. Disclaimer - Property reference 6051-t-942. The information displayed about this property comprises a property advertisement. Rightmove.co.uk makes no warranty as to the accuracy or completeness of the advertisement or any linked or associated information, and Rightmove has no control over the content. This property advertisement does not constitute property particulars. 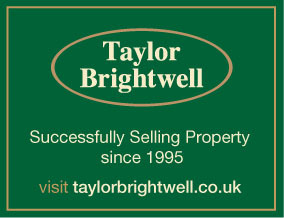 The information is provided and maintained by Taylor Brightwell, Bedfordshire. Please contact the selling agent or developer directly to obtain any information which may be available under the terms of The Energy Performance of Buildings (Certificates and Inspections) (England and Wales) Regulations 2007 or the Home Report if in relation to a residential property in Scotland.